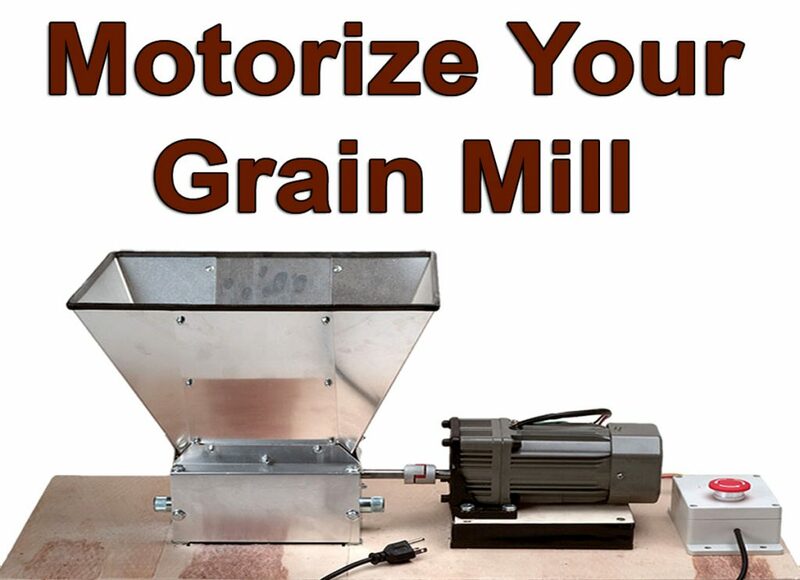 Motorize Your Home Brewing Grain Mill! New Home Brewing Equipment: Do you want to super charge your home brewing grain mill? Well William’s Brewing has a new product that you are going to love. Their new homebrewing grain mill motorizing kit features a high torque grain mill motor fits the 10mm diameter shaft of most standard home brewing grain mills, including their L07 and B21 homebrew mills and many other other two or three roller mills with 1½” diameter rollers and with a 10mm diameter drive shaft. This grain mill motor kit features internal gears to spin your mill at 200 rpm and a heavy duty spider coupling that absorbs the direct drive shock and a powerful 1 amp motor that has plenty of power to crush your grain!